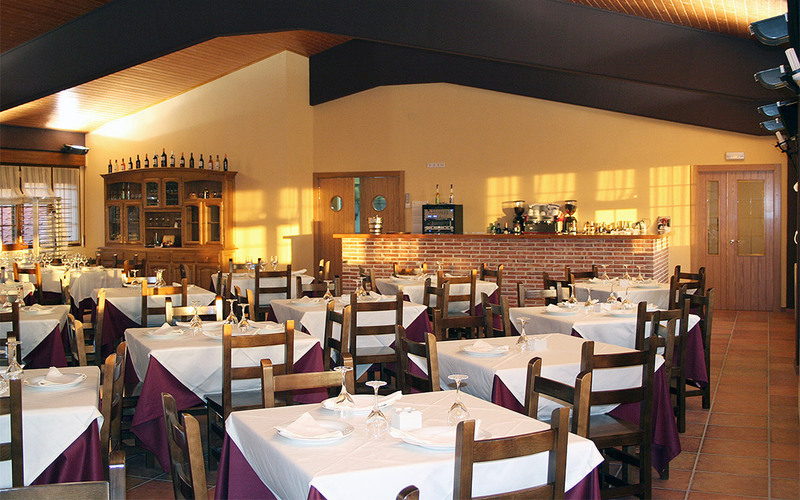 In a privileged location, with magnificent views of the Sierra Cantabria mountains and surrounded by a sea of vineyards, García de Olano offers you the chance to gain first-hand knowledge about the winery, its history, its wines.... and what’s more you can enjoy a traditional Basque-Rioja meal in its charming dining room. 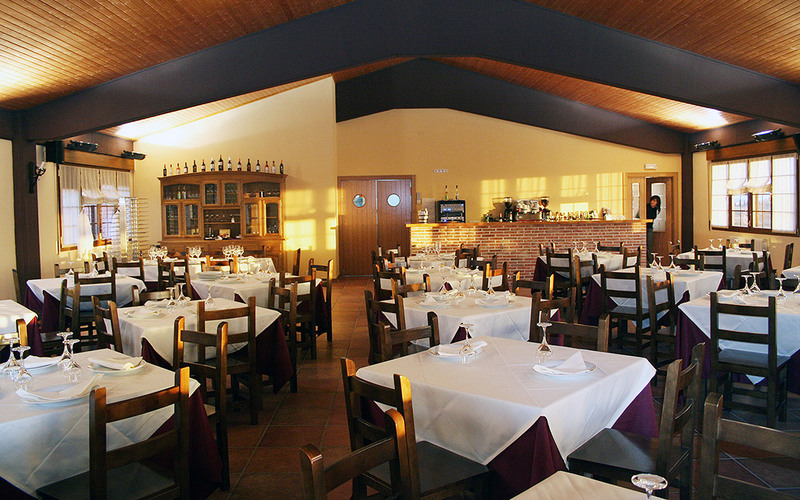 Our dining room is located in the winery itself and is surrounded by a sea of vineyards. 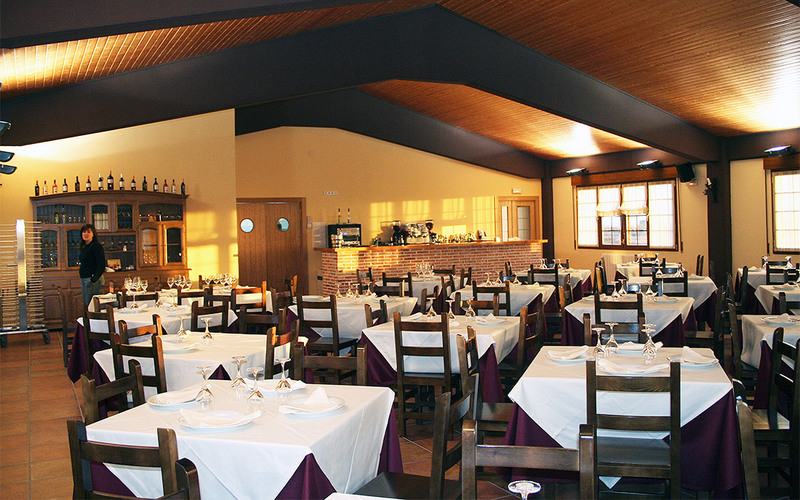 It caters especially for groups and you can try local cuisine. Piquillo pepper terrine, potatoes with chorizo and vine-shoot grilled lamb cutlets that are really roasted over vine-shoots in full public view on our barbecues. The winery hosts guided visits of its facilities which include explanations for visitors on the whole winemaking process. The two wines that are tasted during the visit are the YOUNG RED and CRIANZA RED, which are served directly from the steel tanks where they lie. Led by the owner, the guided visit enables you to learn about the whole winemaking process from the grapes to the bottling of the wine. Includes the visit and tasting of two wines, HEREDAD GARCIA DE OLANO YOUNG RED and HEREDAD GARCIA DE OLANO CRIANZA. During the guided visit, a break is made in the tank cellar for you to enjoy some appetisers while you taste the wines. 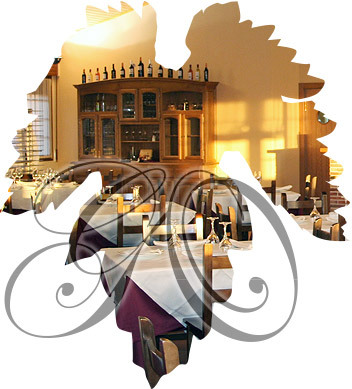 Includes the visit, appetiser and tasting of three wines. HEREDAD GARCIA DE OLANO YOUNG RED, HEREDAD GARCIA DE OLANO CRIANZA AND 3 DE OLANO CRIANZA. 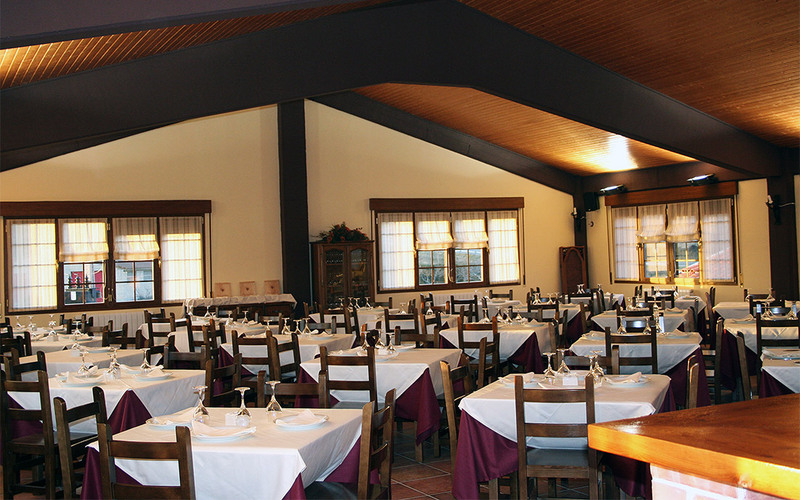 When you have seen the winery, learnt all about the winemaking process and had an appetiser together with the wines, you can continue on to the dining room where you can enjoy a traditional Basque-Rioja meal. Alava black pudding with piquillo peppers, Rioja-style potatoes, vine-shoot grilled lamb cutlets made with vine shoots from our own vineyards and roasted on barbecues in full public view.